Calling all agvocates! 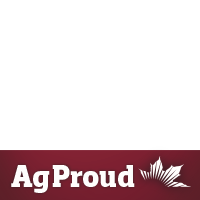 Add this badge to your profile picture and share your ag pride with the world. Agriculture More Than Ever is an industry cause to improve perceptions and create positive dialogue about Canadian agriculture. We need to share our passion and optimism for agriculture with others. Visit our website to get your ag swag, share your story, use our resources or become a partner.